Can I be honest for one moment? A lot times (and I mean a lot), people don’t realize the behind the scenes, nitty gritty details and inner workings of what’s presented to them. I wish I could say it’s only when it comes to creative businesses, but I’m beginning to realize that this happens in all types businesses. However, I do find that when one uses that as a teaching opportunity to show what really goes into creating something, whether it be a product or service, one gives their audience a better look at what they are presented with. There’s more built into the price of a product or service than just what you see firsthand. For example, I hear this all the time “why am I going to buy this from this person, when I can go to Walmart and get something similar it for less” (sound familiar?). Hey, as a customer you have that option–completely, but you cannot compare a local entrepreneur to a big box retailer such as Walmart. There are pros and cons to this example like many others. Today’s post is dedicated to my fellow entrepreneurial and intrapreneurial spirits out there. Here are a few tips and tidbits on how to stand behind the value of your product or service and Plan, Execute and Shoot. Now, by all means I’m no expert at this, I’m still learning myself, but I think it’s important to evaluate the hard work you put into your craft and make sure that its relayed to your potential and current customers. We all need a system in place. A lot times our system may change slightly to make things more productive, but I’ve found the only way to remain productive is to actually have a process in place. Be open to change (it’s a good thing). Be a planner, plan things out ahead of time, maybe even bounce ideas off of someone you trust will give you objective feedback. For example, when I first started my Etsy store, I would only post up new items during before big holidays. I always felt “rushed” and the photography of my products felt rushed (check out the pictures below). 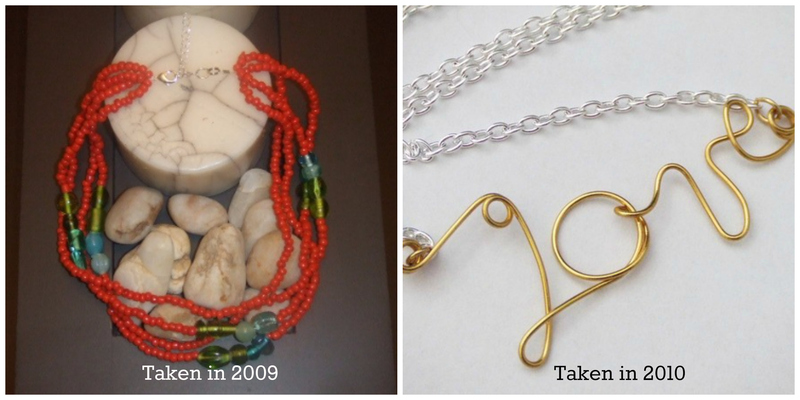 I would always ask other jewelry designers what the secret was to taking good pictures and you know the answer all of them told me….Practice! I realized I had to plan out practice sessions each week and try out different things with my camera if I wanted to nail this photography thing, and that’s what I did. Ask anyone who knows me personally, I absolutely “cringe” when I hear the word discount. I cringe when I hear customers ask sellers and I definitely cringe when I’m asked. It’s okay to tell customers that you aren’t offering any specials right now. I use to run sales all the time and then when I analyzed my results I found that I had less sales when I ran a sale than when my items were originally priced. Now I only run sales maybe twice a year and that’s it. You spend so much time and energy into creating your product or service and your price should reflect what you’re worth. This has been a big one for me over the past few years and that’s because I’ve ran my business on a shoestring budget.T he truth is there are many ways to ask for help, maybe barter goods and services with someone else. Also, take advantage of sites like Elance, Outsource, Freelancer, Guru, People Per Hour and there are tons more. For example, if you can hire someone to create a new logo for you that can free up time for you to work on strategies for your business. The point is you have to value the way your time is spent and what it is spent on. There are only 24 hours in a day, we can’t do it all alone. Whether it’s a daily meditation session, reading some positive material or prayer or maybe all three. Whatever it is do not get your day started until you start it off on a positive note. Take mini breaks throughout the day too, to remind yourself of these positive tidbits as well. As individuals, we can take several beatings throughout the day, so take time to remind yourself just how awesome you really are. I hope you enjoyed reading this post, just as much as I enjoyed writing it. Fee free to subscribe to my list .